FC Barcelona turned on the style in the second half to cruise to a 4-1 win over rivals RCD Espanyol at Camp Nou on Sunday night. Luis Suárez opened the scoring in a quiet first period but the magic of Andrés Iniesta and Leo Messi helped propel the team to another level in the second; the Uruguayan added another, Jordi Alba made it three before Messi added a cherry on top late on. Barça almost got off to a flyer via a lightening quick breakaway involving the front three – Suárez laid the ball on to Neymar Jr who then crossed low for Messi but the Argentine could only find the side netting. In what was a cagey start to the game with plenty of congestion in the middle of the park, it was clear that it would take a moment of inspiration to get the team going. Arise Andrés Iniesta – the midfield magician whipped a long ball over the top for Suárez who controlled superbly before muscling past his defender and then had the composure to slot the ball into the corner for 1-0. Barça entered a period of total dominance midway through the half, suffocating their counterparts in the centre of the field, but unable to muster many clear-cut chances with Espanyol parking the bus outside their penalty area. Messi’s mission to score yet another derby goal continued in the second half, as the mercurial no.10 arrowed in a curling effort from just outside the box and, though it did not trouble Espanyol keeper Diego López this time, he was just getting started. A minute later came a golden chance for Barça to double their lead as Messi threaded the ball through to Suárez. The striker went for the near post but the keeper made a good fingertip save, injuring himself in the process. Barça rarely looked under any sort of threat but with just a goal separating the two sides there was still an air of anxiety in the air. That quickly subsided as a couple of moments of pure magic from Iniesta and Messi set Barça on their way to a memorable win. Iniesta, who had been flawless all night, took on two defenders before handing responsibility to Messi, who in turn took on one, two, three then a fourth opponent before prodding towards goal. 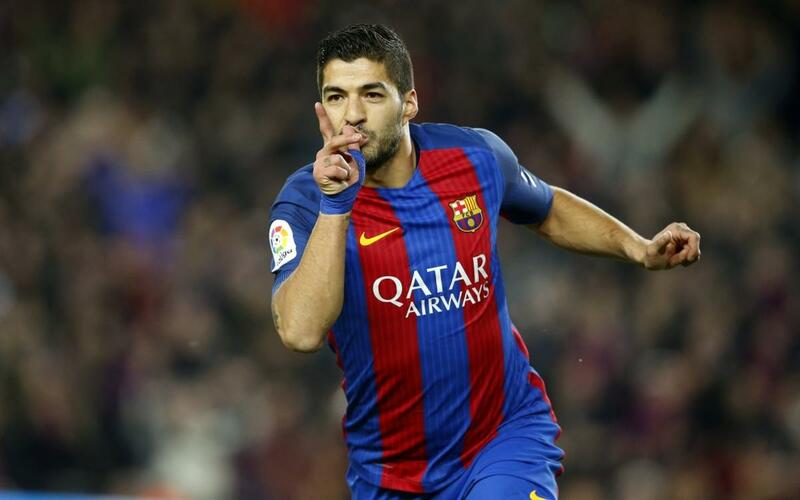 As the Barça faithful put their hands on their heads in unison at the wonder-goal that never was, the ball was parried into the path of Suárez who was alert to bury the rebound for 2-0. Less than 60 seconds later, Messi again seemingly made the ball disappear as he weaved in and out of the hapless Espanyol defenders before Jordi Alba took on the loose ball and thumped a left-footed strike into the corner to make it 3-0. Such was Barça’s dominance was that Espanyol rarely ventured beyond their half but, when they did, they made the most of it. A sweeping cross field ball was cushioned superbly by Gerard Moreno into the path of David López who then guided the ball beyond Marc-André ter Stegen for a consolation strike. While some players would have considered running down the clock, Messi continued pursuing that elusive goal right up until the last moments. A neat exchange with Neymar found him in the box with two defenders tapping at his heels. A quick feint took one out of the game allowing him space to strike low between the legs of the other but the ball whistled past the post. But just when it looked like his luck was out, Messi’s persistence was to be rewarded deep into injury time after a lovely one-two exchange with Suárez was finished with a smart toe-poke beneath the onrushing keeper (4-1). The forward duo are now level at the top of the league's scoring charts with 12 each. It was a fine day’s work from the hosts as they racked up their eighth straight win over Espanyol at home. The win takes Barça back up to second place in La Liga above Sevilla and, albeit temporarily having played a game more than leaders Real Madrid, narrow the gap at the top of the table to three points.